The skill of hunting was learned by the man at a very early age for the sake of necessity. If an early human was incapable of hunting they would eventually die due to lack of food, and hence this played a very important role in their life. As times changed, so did hunting. Hunting now is not done to satisfy a need but as a sport. It is entertainment for many who enjoy hunting for trophies or other rewards. Hunting was under scrutiny for the longest time because of how uncontrollable it has gotten and because of the slow yet gradual loss of many species. To avoid this it is restricted to certain areas and species for those who have a thrill for hunting but are responsible. There are many challenges faced by those who go into the wild to hunt, one of those is the challenge to protect one’s ears. Not giving enough importance to ear protection may cause serious damage when one goes hunting regularly. The following 3 shooting protector products are highly rated on Amazon. Most of the previous users shared their positive experience while hunting in range. They have different features and price varied as well. We give a brief review of each model, so as to help choose the best hearing protector for hunting activities. Howard Leight shooting earmuff has built-in directional microphones that turn up the range commands and other ambient sounds to a safe 82 decibels. This provides natural listening and increased communication. 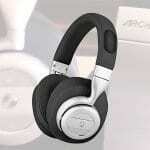 It also listens and automatically shuts off the amplification when the ambient sounds reach 82 decibels, thus protecting the ear from damage. As stated above, 85 decibels is the level where noise becomes harmful to our eardrums. 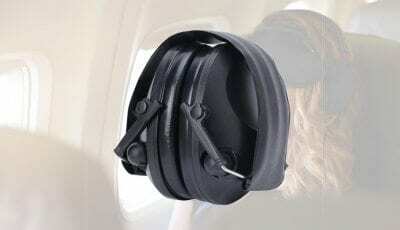 These earmuffs come with an adjustable headband that ensures a secure fit. It has been designed in such a way its compact folding makes for easy storage, too. It has a 3.5 mm connection cord for MP3 players, as well as integrated power and a volume knob, too. It comes in Classic Green. It comes with 2 AAA batteries and the automatic shut-off feature after 4 hours increases the battery life. The batteries give a maximum of 350 hours of service and work well with Polaroid AAA batteries. This hearing muffs come with sound amplification and suppression, also one of the best shooting protection for duck hunting. It comes with razor ultra-thin rubberized cups, two omnidirectional microphones. 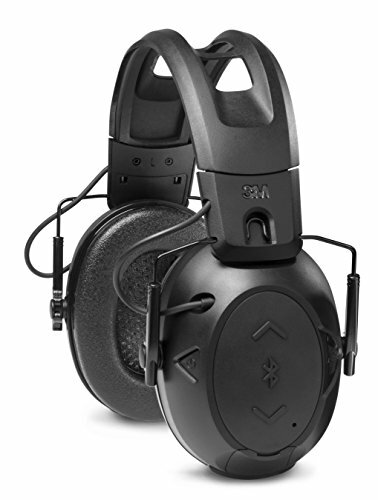 It provides sound activated protection over 89 decibels and that, too, at 0.02 reaction time. 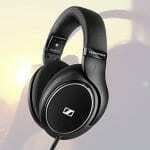 It has a noise reduction rating of 23 decibels. The Walker Game Earmuffs operate on 2 AAA batteries that come with it. 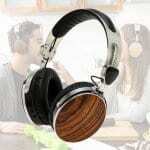 Made of the highest quality material, it makes for a good ear protection device while hunting, or using machine guns. These earmuffs are one of the best ear protector for deer hunting. 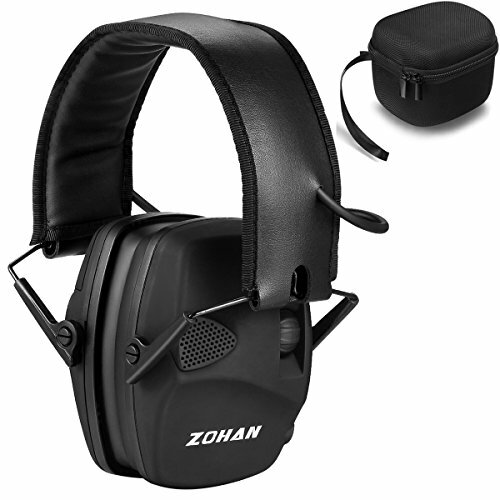 The ZOHAN electronic shooting earmuff is marked as one of the best electronic ear protector. It is the ultra low profile, noise reduction ear defender for hunting. The noise reduction rate of this earmuff is 22 decibels. 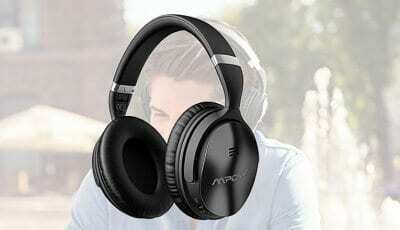 It has a built-in omnidirectional microphone for sound amplification. It makes for the perfect protection gear in a gunfire range or other noisy surroundings. One can converse with people while blocking out the shots. You can even hear people at a distance without having to remove the earmuffs. All you need to do is turn up the control volume knob. 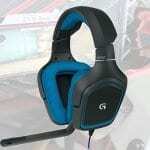 It has a lightweight, slim, low profile ear cups. The surface is a rubberized coating for a supreme soft-touch feeling. It has a plastic microphone cover. Its snap-in ear pads are easy to remove and replace. It consumes very less energy. The Audio jack includes a 3.5 mm connection cord for the audio device. Its compact design makes it easy to store and carry. It is powered with 2 AAA Alkaline batteries (not included). The battery lid is easily removable for battery replacement. Its leatherette headband is adjustable for a snug fit for adults as well as for kids. It makes for the best electronic protection for duck hunting. These hunting range gear hearing protection earmuffs make the best hunting companions to keep your ears safe from the harmful, loud sounds that are potentially dangerous for the ears. It has been proven by studies that older people who have the habit of hunting can experience sensitivity of hearing due to lack of proper ear protection. This sensitivity can lead to hearing the smallest noises at a very high frequency. Not only is protecting your ears important because it could cause permanent damage but it also plays a major role in hunting. A keen ear plays a major role in hunting. Damage to this can reduce the chances of hitting your target correctly or be observant about your surroundings. Hence it is important to keep your ears safe by getting best ear protection for hunting even against unexpected noises during hunting sprees. 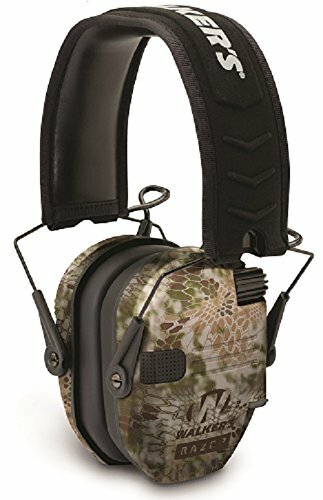 Protection against loud noises- The electronic earmuffs for hunting 2019 are more capable of handling loud noises than the rest. If a certain sound is more than a level then the muffs automatically shut down and protect the ears. This is so that ears are protected from unexpected shots from your gun or other guns. Be a step ahead- in the game of hunting animals have the upper hand. This is because they have a sharper sense of smell and hearing. While we cannot beat the sense of smell, we know what is the best electronic protector for hunting and this gives extra leverage be it when you use best ear protection for bird hunting or best ear protection for deer hunting. The hunting protector for ear keeps you one step ahead of anything that you want to hunt; the ear muffs have the ability to enhance the hearing range of anyone using it. Keeping one more alert. 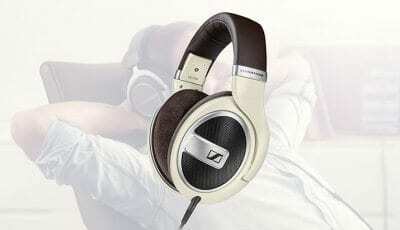 The noise reduction rating- The noise reduction rating is a qualified amount given, to device how well it protects the hearing of anyone using it. Any best ear protector while hunting that has the exact noise reduction rate as that which is nationally used is good enough to be bought. 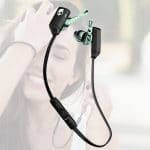 This ensures that you are getting what is the best shooting protector for hearing out in the market and will ensure that there is no damage caused to the ear. 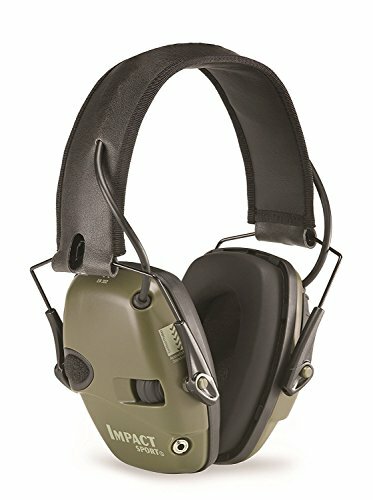 Be it for the hearing protection for bird hunting or best ear protection for dove hunting these muffs are the most suitable. 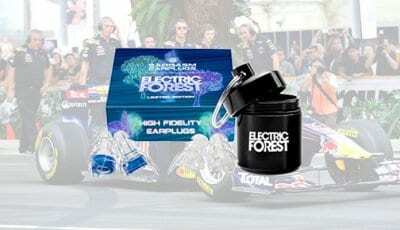 Amplifiers- best electronic ear protection for hunting have amplifiers in them. These help in increases smaller noises to a higher hearing range, which helps to focus on the game. It also helps hear everything much more clearly than while wearing normal ear muffs. Amplifiers are a gift to hunters as they improve the chances of success, making the game more interesting. No need to sacrifice- When you get top rated protection for hunting there will be no need to sacrifice on your hearing capacity. Normal ear muffs can definitely protect your ear from damage but they have a negative effect on your game. This is because it reduces the sound of all the surrounding noises, impairing your hearing capacity to hunt properly. Comfort- The best in-ear protection for hunting will not be uncomfortable as it may be a distraction in crucial times during hunting. 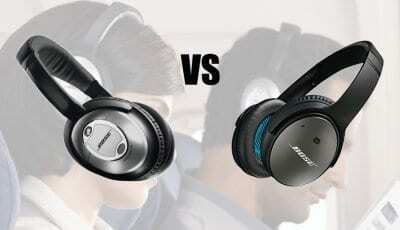 Choosing the correct earmuffs can make all the difference. The first thing to be kept in mind is the weight of the ear muffs you are buying. They need to be light enough to comfortably rest on your head but not too light to avoid falling off. The second thing to consider is the material with which it is made and it if it suitable for your skin. Making sure that the ear pads are the right way and they fit in perfectly for the one using it is also important. High decibel sounds can be harmful to our ears. They can rupture the eardrums and damage the bones inside the ear. This can lead to a permanent hearing loss. And, hearing if once lost, cannot be rectified. People, who lose their hearing, often complain of a ‘ringing’ sound that goes on in their ears. A sound that can be rather annoying and can deafen you to any other noise you may be able to hear, yet. Protecting the ears from loud sounds that are often heard at a shooting range, or at hunting grounds, or even at places with loudspeakers play incessantly becomes a necessity. This ‘ringing’ noise can become a permanent issue and can further cause anxiety and depression. When hunting ducks, multiple shots are fired in quick succession and the closeness with other hunters can increase the possibility of ear damage. Thus, using the hearing earmuffs for dove hunting, or even the best ear protection for bird hunting becomes a necessity in order to steer clear of any hearing damage. Using the best hearing protection gear is useful because the manufacturers don’t compromise on the quality of the device. Saving a few bucks can lead to irreversible and life-long damage to the ears—a problem that has no solution or treatment. Therefore, protecting the ears during such activities like hunting, or shooting needs to be given top priority. And, using the best hunting protection gear is the safest choice for your ears. These devices limit the exposure to noise thereby keeping them out of harm’s way.